Sundays, Tuesdays and Thursdays in May and June. Other Dates may be Available upon request. 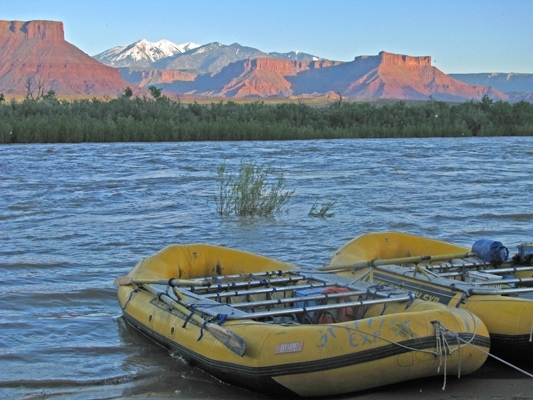 The "Moab Daily Rafting" trip is a beautiful one-day float trip on the Colorado River. This day trips begin upstream of Moab Utah and floats through spectacular rock valleys next to Arches National Park. 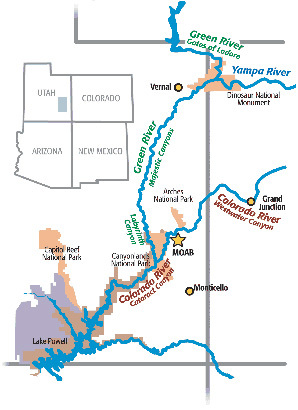 This is a great trip for those that want to see some of the magnificent canyons carved out by The Colorado River. On this 14 mile run, guests will experience mellow rapids (class I and II) that are enjoyed by people of all ages and skill levels. Sundays, Tuesdays and Thursdays in May and June. 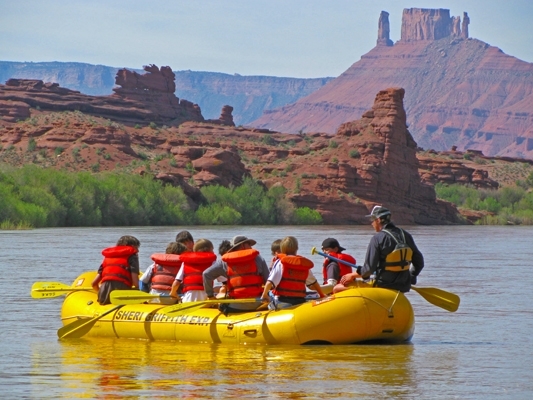 The "Moab Daily" is a beautiful one day float trip on the Colorado River. The day trips begin upstream of Moab, Utah and float through spectacular rock valleys next to Arches National Park. 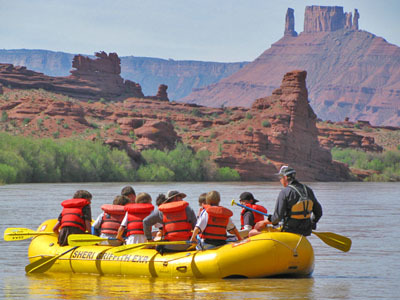 This is a great trip for those who want to see some of the magnificent canyons carved out by The Colorado River. On this 14-mile run, guests will experience fun rapids (class I and II) that are enjoyed by people of all ages and skill levels. What you'll see: This is typical "Old West" canyon country. Many movies were filmed here, including the classics "Wagonmaster" and John Wayne's "Rio Grande" and "Commancheros." You'll also recognize this area from"Indiana Jones and the Last Crusade", "City Slickers II" and "Thelma and Louise." This section has many prominent sandstone spires that rise far above the ground. The "Titan," at over 900 feet tall, is the tallest Fisher Tower and was dubbed "Utah's skyscraper rock" by National Geographic. What you'll do: This part of the Colorado River is slow, wide and warm, making swimming extremely fun on sunny summer days. 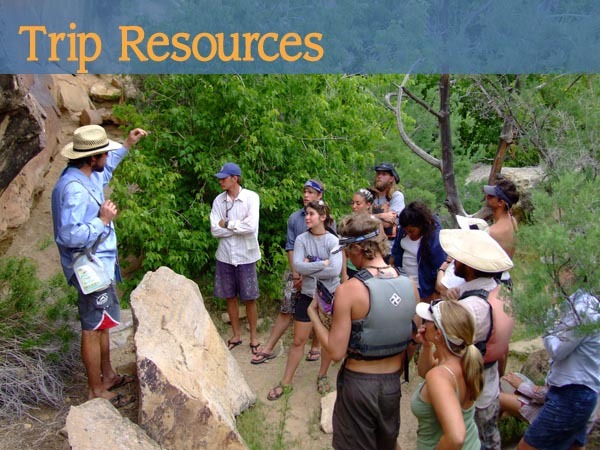 This trip has class I-II rapids suitable for everyone 4 years and older with relaxing oarboats, fun paddleboats and playful inflatable kayaks. This is a great relaxing trip in a beautiful area of the world. What's for Lunch: At lunch we will stop on a sandy beach to have a wonderful sandwich buffet lunch. Sheri Griffith Expeditions meals are by far the best on the river. We provide a variety of local meats, cheese and organic vegetables. Many of the vegetables are grown in our own personal garden or purchased from the locals farmers market. Our meats come from a local butcher shop. Next to our guides, the meals are what we get the most complements about. 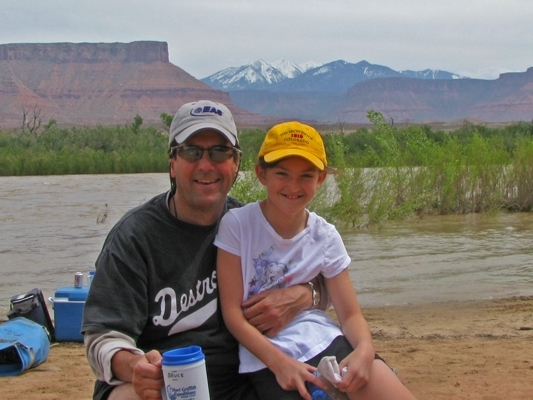 The "Moab Daily" is a beautiful one day float trip on the Colorado River. 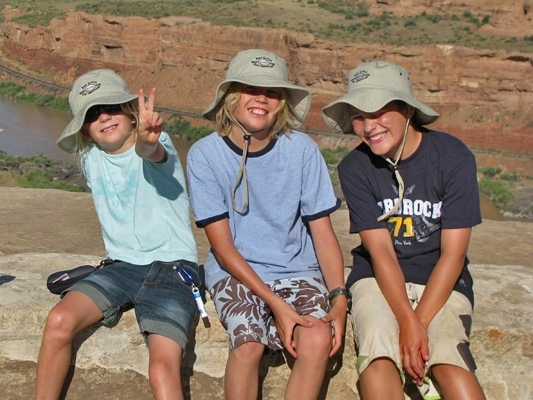 The day trips begin upstream of Moab Utah and float through spectacular rock valleys next to Arches National Park. This is a great trip for those that want to see some of the magnificent canyons carve out by The Colorado River. On this 14-mile run, guests will experience fun rapids (class I and II) that are enjoyed by people of all ages and skill levels. 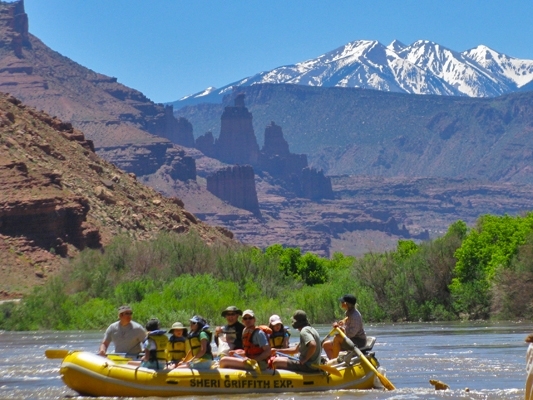 Colorado River Rafting over looking the La Sal mountain. 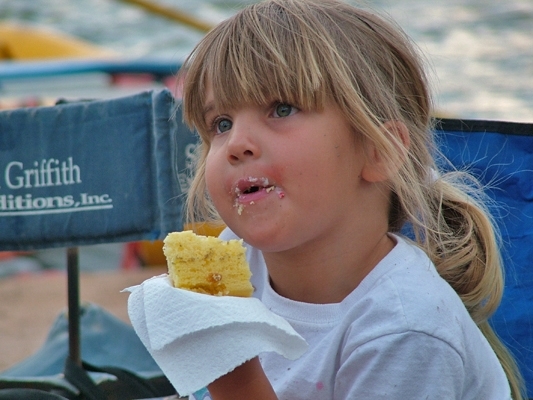 kid friendly meals on Colorado River family trips. 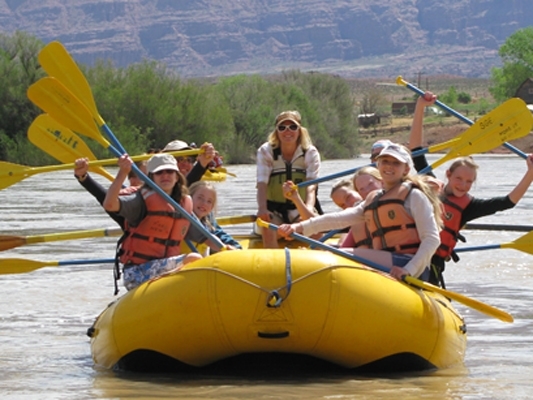 Family fun on the Colorado River trips. Family bonding on family rafting trips. 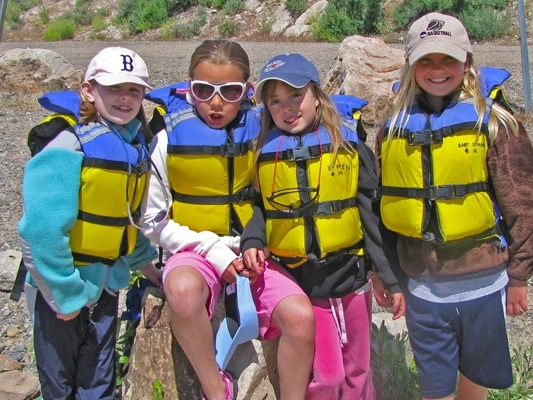 Rafting with friends on kid friendly trips. 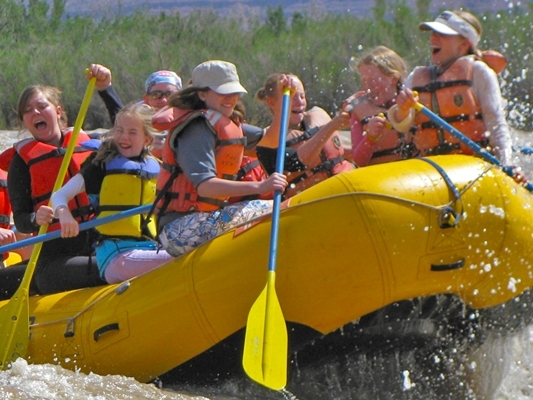 Fun rafting trips on the Colorado River. Classic views down the Colorado River. 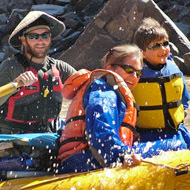 Moderate yet fun whitewater on the Moab Rafting trip.